Friday nights chez Toulouse are exactly like a Catholic church charity event: fish, booze, gambling and nicotine-stained walls. I'm leery when it comes to fish. Something about the way it smells. It's really no scarier than chicken or beef, just more expensive and easier to screw up. In my younger and poorer days, (when I shared a small one-bedroom apartment with a college friend) I made this dish to impress a date. Somehow neither of us died, but 4 years later the relationship did. For some reason salmon seems fancy, but only because it's expensive. If it's not expensive, stay away because god only knows where it came from. Salmon says to the world that you are health conscious with disposable income. I typically don't go for salmon, but when I do - I only cook it one way because variety is the spice of life. This is so easy you don't even have to stop drinking to make it. Salmon pairs well with white wine, and beer, and red wine, and gin, and vodka and nail polish remover or whatever else you have under the sink. Step 1: Preheat oven to 375. Line a baking dish with olive oil and a small amount of lemon juice. Arrange lemon slices in baking dish and top each with a sprig of rosemary. Step 2: Lay salmon pieces on top of lemon slices. Drizzle some olive oil on fish, sprinkle with salt and pepper. Dowse in lemon juice. 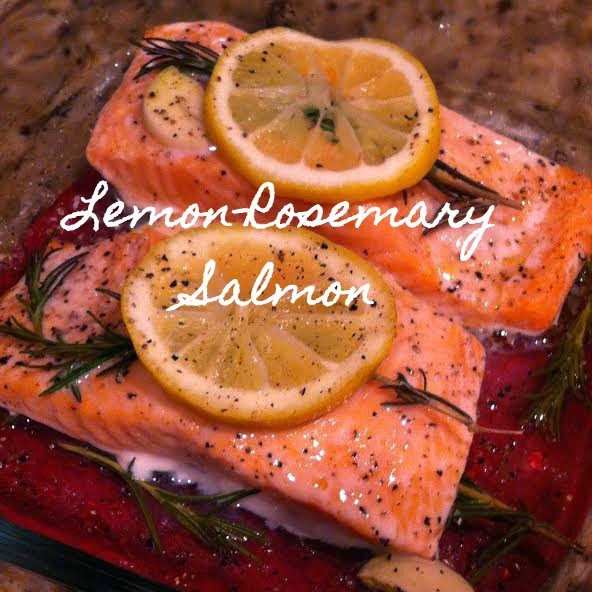 Top fish with rosemary springs and then lemon slices. Arrange garlic cloves around fish. Cover with foil. Bake 20 minutes. Salmon will flake with a fork when it's done. You can't undercook salmon, but you sure can overcook it - and everyone will hate you. Only grade B for my family. Step 1: Chop carrots into sticks. Heat butter in skillet. 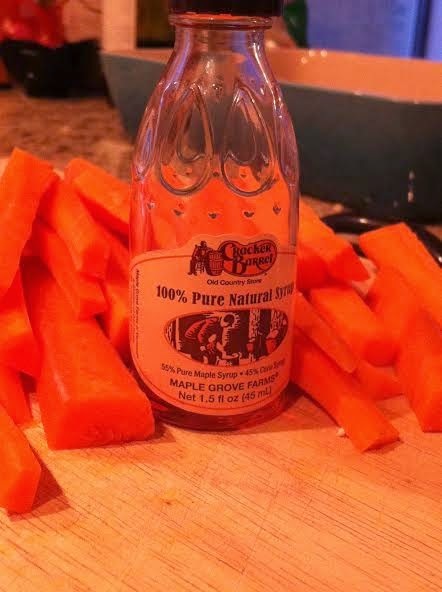 Add carrots to hot butter. Season to taste with rosemary. Step 2: Let carrots simmer and break down in butter for 10-15 minutes. Let them brown. Step 3: Add 2 tbsp maple syrup. 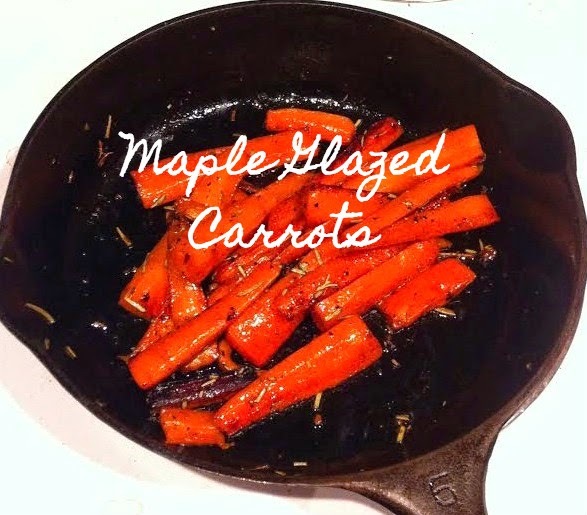 Let the sugars caramelize until carrots darken. Serve hot.